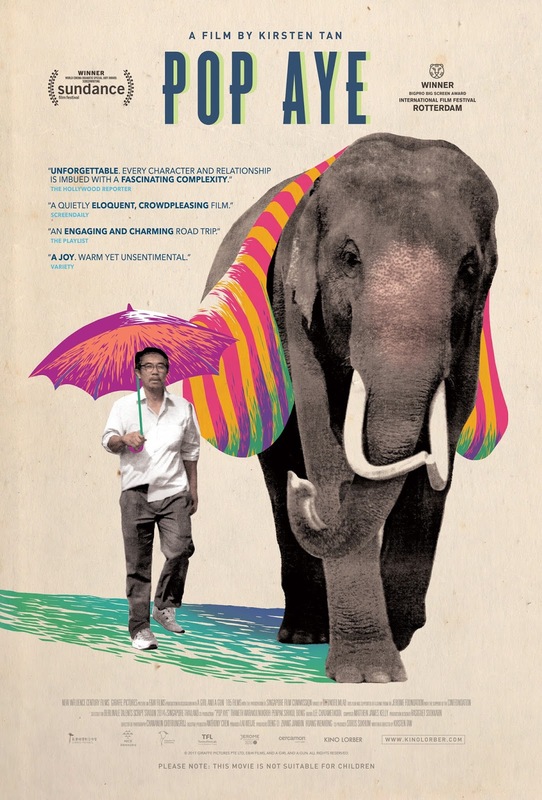 PennsylvAsia: 2017 Silk Screen Asian American Film Festival, September 16 through 24. 2017 Silk Screen Asian American Film Festival, September 16 through 24. The 2017 Silk Screen Asian American Film Festival will run from September 16 through 24 at several Pittsburgh-area theaters. This year's iteration includes selections from Japan, Korea, China, Malaysia, Taiwan, Singapore, and Philippines. 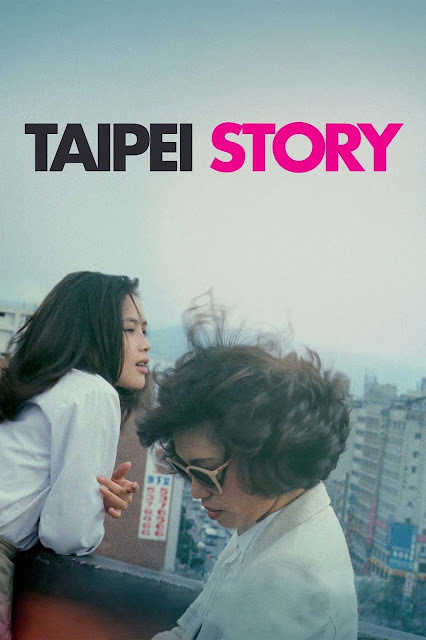 "The late Edward Yang’s 1985 film Taipei Story portrays a couple that has begun to drift apart: the white-collar and upwardly mobile Chin (pop star Tsai Chin, soon to marry the filmmaker), who is forced to quit her corporate job after being demoted to secretary; and her sad-sack boyfriend, Lung (Hou Hsiao-Hsien, the other great Taiwanese director of Yang’s generation), who runs a textile store and is haunted by his past as a local baseball star. The original title translates as “green plums and a hobby horse,” a Chinese idiom for childhood sweethearts, meant ironically. But the English title, a reference to Yasujirō Ozu’s Japanese classic Tokyo Story, holds an irony of its own." "Co-written with Hou and Hou’s longtime writing partner, Chu Tien-Wen, Taipei Story is like so many Yang films in that it doesn’t pinpoint the contradictions of modern living in characters so much as in what they navigate on a day-to-day basis: environments, spheres of couple-hood and family life. 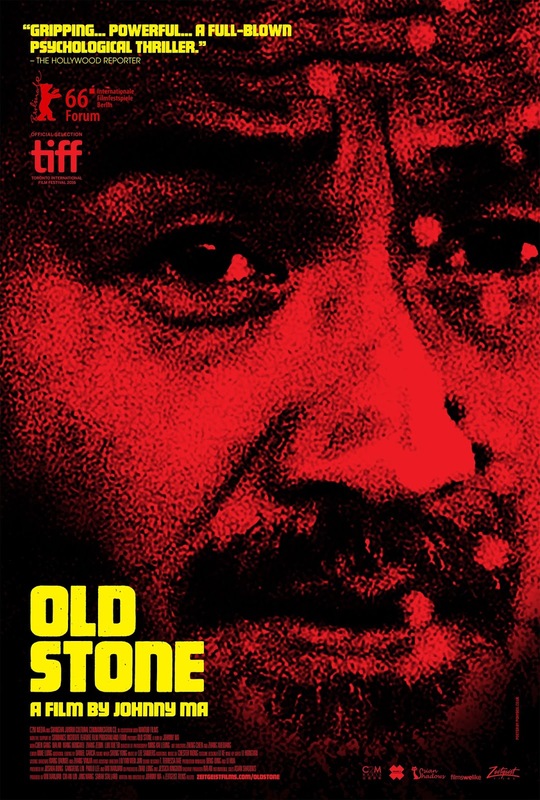 It paints a picture of a mid-1980s Taiwan awash with conflicting American and Japanese cultural influences. Yang is obsessive about cataloging and contrasting these: the music of Michael Jackson (both heard and referenced) versus the huge neon Fuji Film billboard that provides an arresting backdrop for several scenes; Lung’s preference for a karaoke bar over the faux Anglo-American “pub” favored by Chin’s wannabe-yuppie friends; the repeated references to baseball, the quintessential American pastime that is now arguably more popular in Japan. " - A.V. Club review, March 14, 2017. "There’s a wonderful moment in “Pop Aye,” when an elephant gives the camera — and you — the stink eye. Then again, maybe the elephant, called Pop Aye and played by a majestic giant named Bong, is just exhausted, namely with people. You can’t blame him. He’s been tramping around the countryside for much of the movie, usually in the fumbling company of Thana (Thaneth Warakulnukroh), an architect from Bangkok who, with his marriage on the rocks and his career seriously on the skids, has set off on his midlife crisis not behind the wheel of a new sports car but alongside an old elephant. They make a funny pair, by turns amusing and puzzling, though also melancholic and touching. For the most part, these variations seem by design in a movie that flirts with assorted narrative conventions and fluctuating moods without ever settling into a familiar template. It takes some time, though, to figure out what the writer-director Kirsten Tan has in store for Thana and Pop Aye, who are first seen trudging together along a dusty, bleak stretch of road. They’re nowhere in particular, certainly nowhere remotely inviting, and before long they’re trying to catch a ride, which is about as challenging as you might expect when one of the hitchhikers is an elephant." - New York Times review, June 27, 2017. 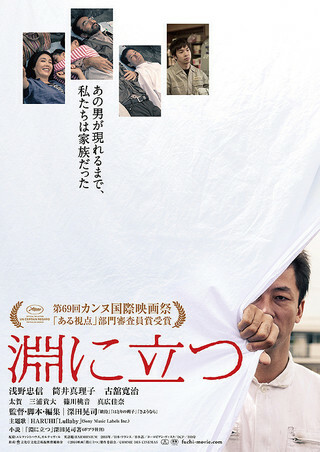 Hapless Susumu Okada (Gaku Hamada) works as a cleaning employee and is frustrated at his seemingly aimless life. When his colleague Mr. Ando (Tsuyoshi Muro) enlists his help to play Cupid to him and attractive café waitress Yuka (Aimi Satsukawa), he unexpectedly encounters his former high school friend, Shoichi Morita (Go Morita). Yuka, however, suspects that Shoichi may be stalking her. Starring V6 member Go Morita as the chillingly cold-hearted Shoichi, this adaptation of Minoru Furuya’s original manga explores the tension between the strong and the weak, and the very thin line between good and evil. - Japanese Film Festival Australia. 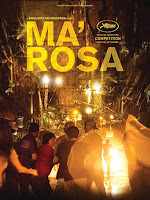 'Ma' Rosa (Jaclyn Jose, whose bravura performance deservedly won her Best Actress laurels at this year's Cannes Film Festival) is the de facto head of a family struggling to keep their small convenience store afloat in tough economic times. As a means of survival, Rosa has diversified the family business by venturing into the street-drug trade. 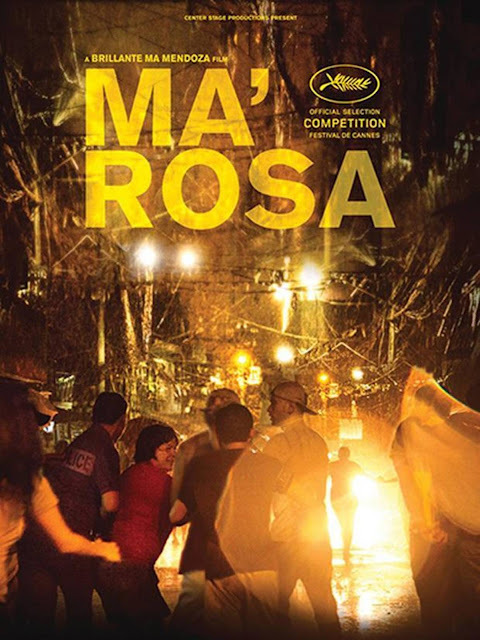 When Rosa and her drug-addled husband are arrested and hauled off to a labyrinthine, makeshift police station, they unsurprisingly discover that the cops are greedier and crueller than any junkie or dealer: in addition to pressing Rosa for the names of her connections, they also demand a huge sum of cash in order to "settle this." Sent back out onto the streets to dig up the requisite bribe, Rosa embarks on a tragicomic quest reminiscent of De Sica's classic Bicycle Thieves as she is roundly rejected or lectured by the various members of her family to whom she turns for help. Buoyed by a twisted humour, Ma' Rosa does not sentimentalize or exonerate its protagonist, but neither does it ignore the context that drove her to her extralegal endeavours. As Mendoza demonstrates, the drug trade is less an evil unto itself than it is a symptom or side effect of endemic poverty and corruption." - Toronto International Film Festival. "Motherhood is a theme that is often confined to the relationship between a mother and her child. 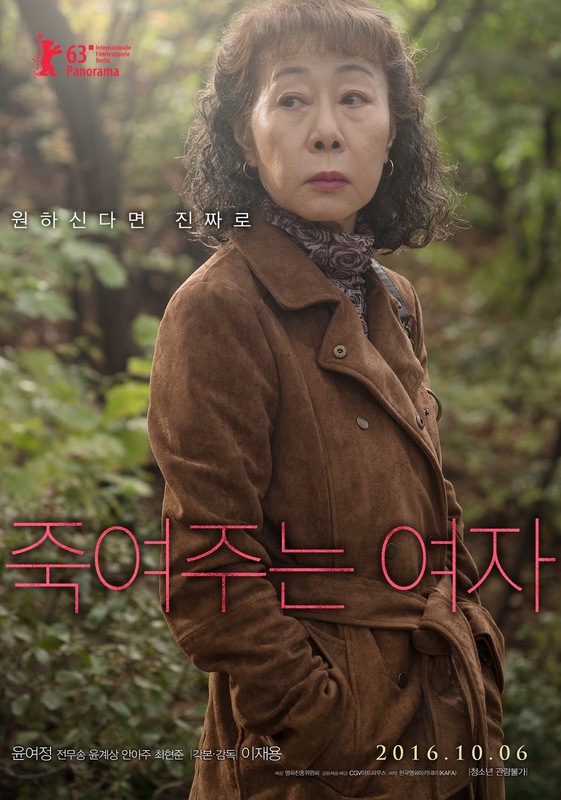 But in "Missing," director Lee Eon-hee places it in the context of some of the most disturbing social phenomena of our time to produce a gripping film buoyed by the stunning performance of its female cast. 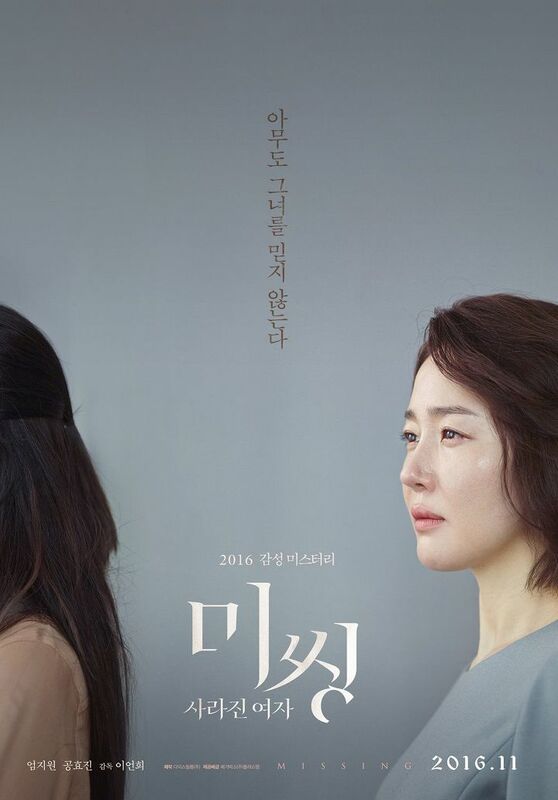 In the movie, Ji-seon (Uhm Ji-won) is a middle-class divorcee struggling to keep her job and custody of her 1-year-old daughter. To relieve some of her burden, she hires a Chinese nanny, Han-mae (Kong Hyo-jin), to look after her child while she is at work. What appeared to be the perfect arrangement for all sides turns into a tragedy when the baby suddenly disappears, along with her nanny. 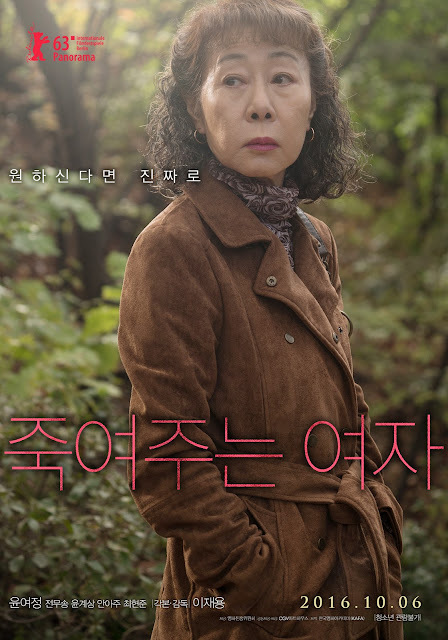 In telling the story, director Lee builds the suspense by weaving together Ji-seon's flashbacks, testimonies by various people who knew Han-mae and witness accounts. In the process, the audience is transported to some of the darkest corners of society to face some uncomfortable truths." - Yonhap review, December 8, 2016. "Scripted by Fukada, “Harmonium” is yet another of the filmmaker’s ironic titles, referring as it does to not only the pump organ played by the young daughter of its central couple but also the harmony — or rather the lack of it — in the couple’s marriage and lives. Toshio (Fukada regular Kanji Furutachi) runs a thriving metal-working shop, and his wife Akie (Mariko Tsutsui) serves as his office manager. Their cute 10-year-old daughter, Hotaru (Momone Shinokawa), is reluctantly learning the harmonium — and it sounds it. The apparently calm, middle-class surface of their lives hides fissures suggested early on — the church-going Akie and Hotaru say grace before meals, while Toshio stays stonily silent — that widen with the arrival of a mysterious visitor. Yasaka (Tadanobu Asano), a just-out-of-prison acquaintance of Toshio’s who shows up out of the blue and is soon working in the shop and sitting at the dinner table. Stiff in manner, polite in language and dressed in dark trousers and a white shirt buttoned at the throat, Yasaka is a queasy combination of the dorky and the menacing. But he tries to ingratiate himself with the suspicious Akie and the shy Hotaru, helping around the house and teaching the girl a new tune on the harmonium. When he makes a stilted, if sincere, confession about his past to Akie and expresses an interest in her church, she begins to see both a tortured soul to save and an attractive man to … well, do what Toshio no longer does (if he ever did). But Akie also feels a guilt that she cannot shake." - Japan Times review, September 28, 2016. 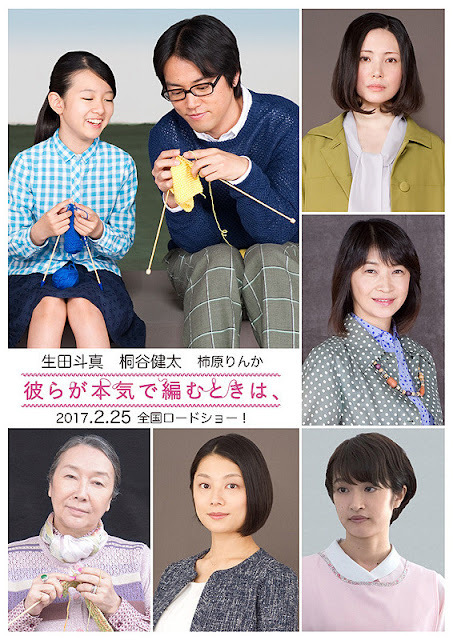 "The film follows Tomo, a young girl, whose mother suddenly disappears and leaves her alone. So she moves to live with her Uncle, Makio, and his partner, Rinko, a trans woman. The film is slowly paced, structured around seasonal changes, and focuses on the perspective of the little girl, Tomo. At the very beginning, she distances herself from a gay classmate for fear of being regarded as abnormal. But later on, as she becomes increasingly attached to Rinko, she shows full support for this gay friend. "Kids don't discriminate," said the director Naoko Ogigami." - The Advocate, July 19, 2017. 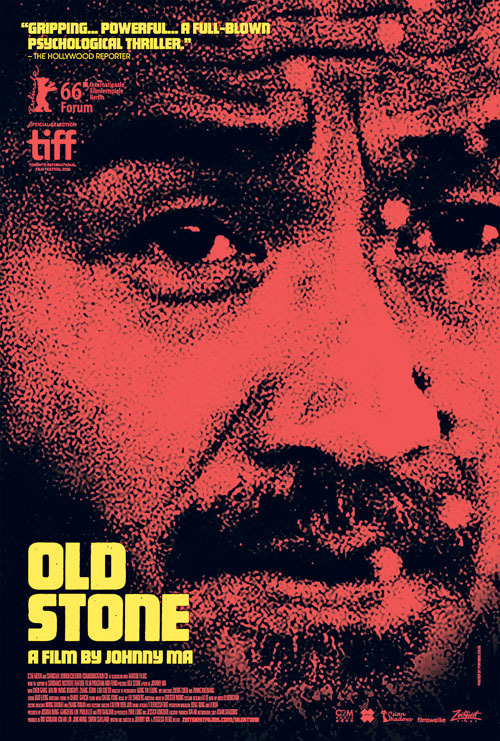 "Old Stone follows the repercussions of a car accident in a society where life is cheap and compassion is ruinously expensive. Chinese taxi driver Lao Shi finds himself in a living nightmare after he reluctantly picks up a drunken passenger and must face the consequences of a car accident that permanently cripples a pedestrian. According to Chinese law, Lao Shi is required to assume financial responsibility for the injured pedestrian until the end of that individual's life. As he fights to save the life he once had and strives to do the right thing, Lao Shi is forced to act in ways contrary to his own identity and morals." - 2017 Carnegie Mellon International Film Festival. 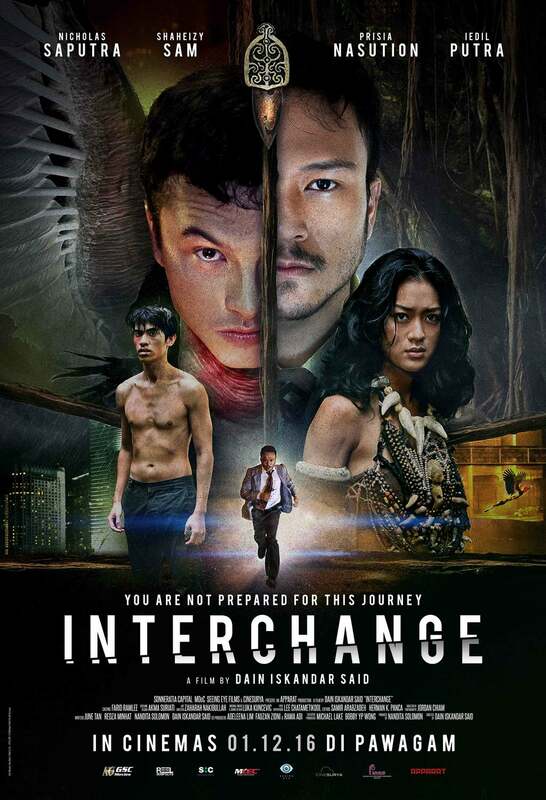 "The power of the photographic image and the woeful legacy of colonialism intersect in eerie ways in the stylishly shot supernatural thriller 'Interchange.'" - Variety review, November 23, 2016.